As the garage sounds from south London began to take on their own unique, dark swung direction, it became clear that the nascent scene needed a home. 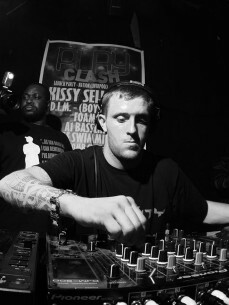 In 2001 Forward>>, dubstep’s founding club, started with Hatcha a resident. It was here he began to up the ante. While other DJs came with a collection of white labels (tracks immanently due for a public release), he arrived with a box of upfront dubplates: unique one-off exclusive tracks. No DJ could test.